It would be hard to even imagine a world as alien from the present as was seen in the Ordovician Period of more than 470 million years ago. Grasping this major difference, however, is key to understanding the true nature of the basement rocks that lie beneath the Ingleborough area. Way back then there were only four major continents and three major oceans. 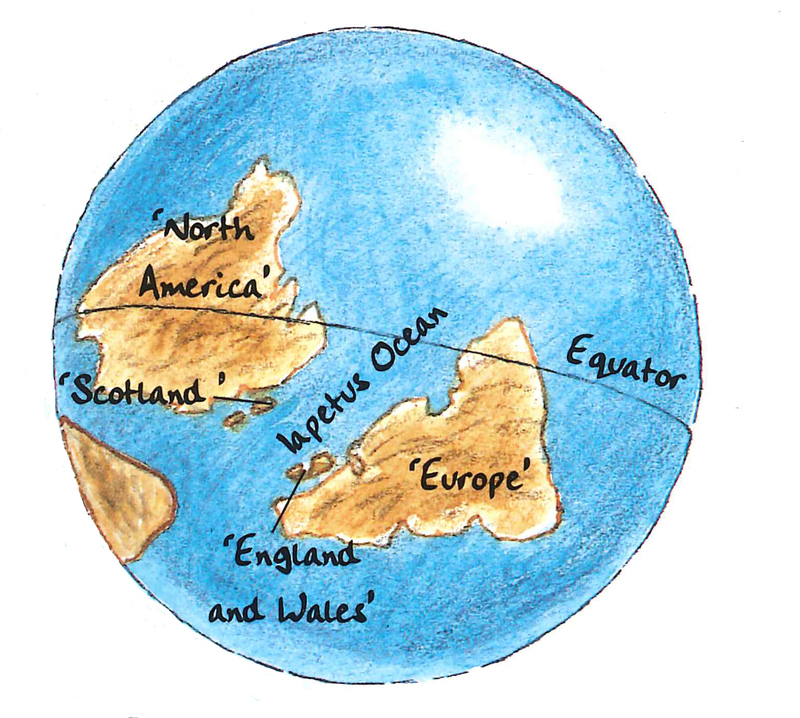 The stablised centre point of a continent is known as a ‘craton’ – and the craton of the Laurentia super-continent (present day North America, Greenland and part of Scotland) straddled the equator and was rotated at forty-five degrees clockwise to the present position. Across the narrow Iapetus ocean to the east lay the craton of Siberia-Kazakhstan, while the southern part of the ocean was bordered by Baltica (present Scandinavia) and Avalonia (the present day England). Along an active tectonic plate boundary in the Iapetus Ocean, huge underwater landslides carried sands and muds into the deeper waters and these created massive ‘turbidity clouds’ of sediment. Larger grains of sand settled first on the sea bed, with finer mud grains settling on top, allowing the heavily grained sandstones to be overlain by smoother bands of mudstone. The landslides into deeper water – and thus the sequences – repeated, so that a series of rocky couplets were formed, with sandstone underneath and mudstone on top. The rocks are collectively known as ‘turbidites’, due to their formation from active clouds of sediment in deep water. 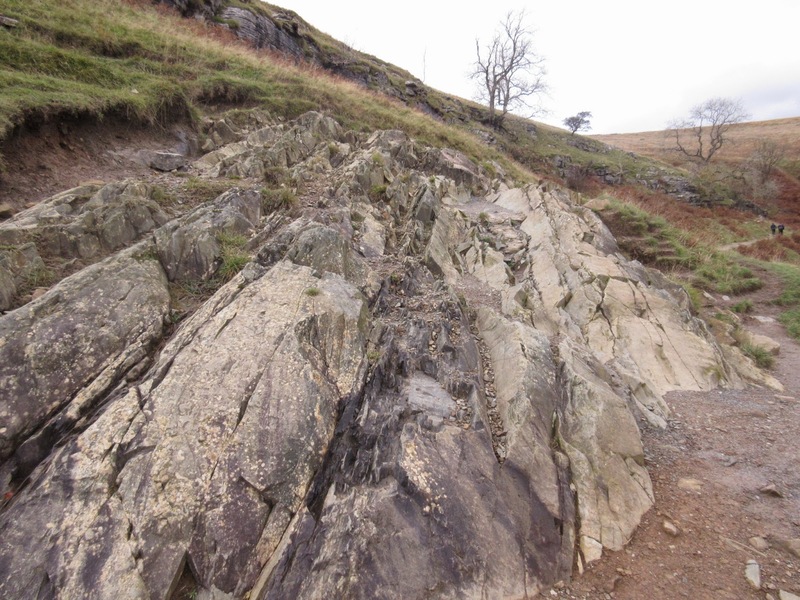 Gigantic earth movements along the plate boundaries in the late Ordovician caused the beds to buckle and fold – with the heat and pressure increase metamorphosing the rocks; the sandstones becoming stronger ‘greywackes’ and the mudstones becoming slates. 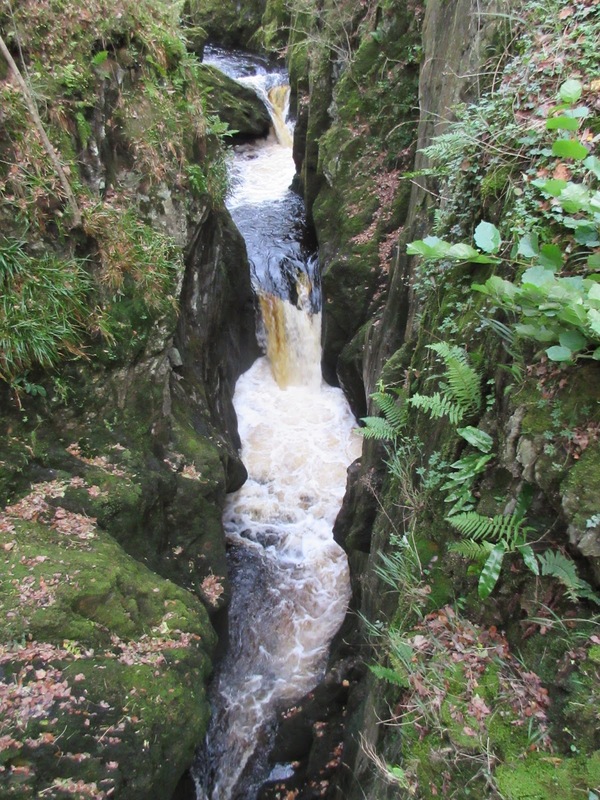 These rocks are well seen on the Ingleton Waterfalls Trail, with the greywackes and slates, as well as the folding, very much in evidence.